Betteridge’s law of headlines states that any headline that ends in a question mark can be answered by the word ‘no’. It’s the case with articles asking if Millennials are responsible for all of the world’s ills, or if some technology is the future. So we come to this fascinating case of native content (amusing, veiled advertising) from a store that sells really, really powerful magnets. 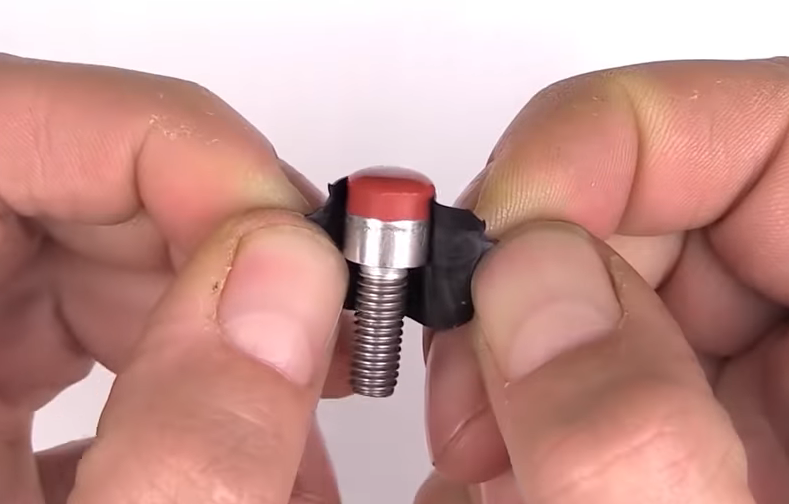 The title of the article asks if magnets can replace the spring in a pogo stick. The answer, of course, is no, but it does provide a fascinating look at linear versus exponential growth. A pogo stick is simply a spring with a set of handles and footholds that is the subject of a great number of hilarious YouTube videos, at least one of which is impressive. The physics of a pogo stick is determined entirely by Hooke’s Law, and is a linear equation, not counting the strength of a spring and the yield point of steel, but this is a pogo stick we’re talking about. Magnets, on the other hand, obey the inverse square law. Is it possible to fit an exponential function to fit a linear function? No. No, it is not. But a lack of understanding of the basic forces of nature never stopped anyone, so the folks at K & J Magnetics made a really neat test. They printed out a 1/8th scale pogo stick, complete with a spring. It worked like any pogo stick would. Then they took out the spring and put a few magnets where the spring should go. How did that work? Well, it bottomed out and was an immensely disappointing pogo stick. If a problem is worth solving, it’s worth solving wrongly, so more magnets were added. Mounting three magnets onto a pogo stick gave the same exponential force, but still not enough. Four, five, and six magnets were added to the model pogo stick, and while six magnets gave this model pogo enough force to be ‘bouncy’, there simply wasn’t enough space for the pogo stick to compress. The takeaway from this experiment is extremely obvious in retrospect, but probably too subtle for a lot of people. There’s a difference between a linear relationship and and exponential relationship. There’s also a video, you can check that out below.